One of the best ways to stay on track with your fitness goal is to meal prep. 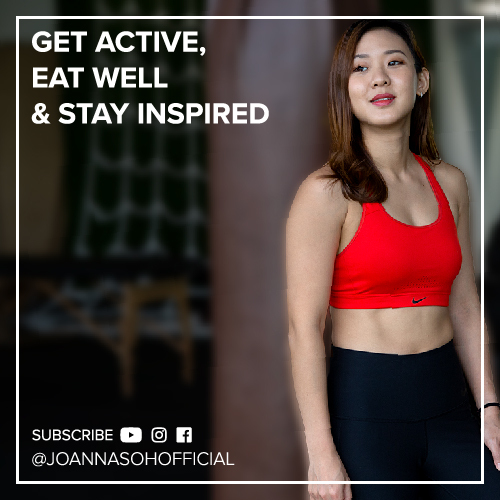 So whether your goal is to lose weight, lean up, get ready for a competition, gain weight or just to keep fit, your daily meals, contributes 80% to your success. So what you eat, matters. What exactly is meal prepping? It is essentially planning and preparing your meals in advance for the entire week! Basically making your own healthy and delicious pre-packed food instead of buying them or eating out. 1) Keep you on track with your fitness goal and no excuse not to eat healthy. 2) It eliminates the stress of having to cook every single meal especially if you are on a busy schedule. 3) You will Save time and money – Not only are you saving money by not eating out, you are also saving on gas and electricity bills by cooking in bulks. 4) You get to enjoy your own delicious and nutritious food throughout the week. 1st – Check your schedule and decide how many days you want to prep your meals for. For me, I’ll go with 5 weekdays for all my meals. Perhaps you might only want to prep your lunch and snacks, and have fresh cooked dinners. It’s depends entirely on your schedule. 2nd – MEAL PLAN. Decide what you want to eat, and be specific, are you having 3 larger meals a day? Or 5-6 smaller meals a day? Write your meal plan. For this, I’m using my 8-Week Bikini Meal Plan which is available on my website. 3rd – Once you have a meal plan, next is to buy all the ingredients you need for the week and also enough storage containers, which are suitable for freezing and microwave friendly. Buy containers of similar sizes and shapes so you can easily stack them in the fridge or freezer. 4th – Once you have your ingredients, Weigh and measure your foods. This is especially important if you have just started eating clean and you might not be sure about portion sizes. Measuring your food will help you to visually see how large a portion should be and also to know how many calories is in the food you are consuming. For this you will need a weighing scale and also measuring cups. I prefer to measure my food prior to cooking, because our food may weigh differently after cooking depending on how much water we use etc. 5th Cook the meals & Keep it Simple! Remember that meal prepping should be time efficient, simple and fun. It should be stress-free. So pick easy and delicious recipes to prepare, which is according to your taste. Generally as a guideline, keep you meals in the fridge for up to 2 days and you can store them in the freezer for up to 2 weeks. Dinner – Baked Salmon with Sweet Potato & Carrots and also a side of Creamy Green Soup. And I’ll be preparing all these in 2 hours and 30 mins. 1. An easy tip to cook brown rice is to soak them at least 4 hours or overnight, so that they’ll be soft and cook quicker. 2. Next, peel and chopped all the vegetables. Weigh them if you need to. It’ll take me about 30 mins to get this done! Place all the vegetables in separate bowls for easy cooking. We want to be doing at least 2 things together to save time. I will start to prep my dinner – baked salmon with sweet potatoes and carrots as they’ll take 45 mins to cook in the oven. Salmon as my protein and healthy fat, carrots my vegetable and sweet potato my complex carbs. 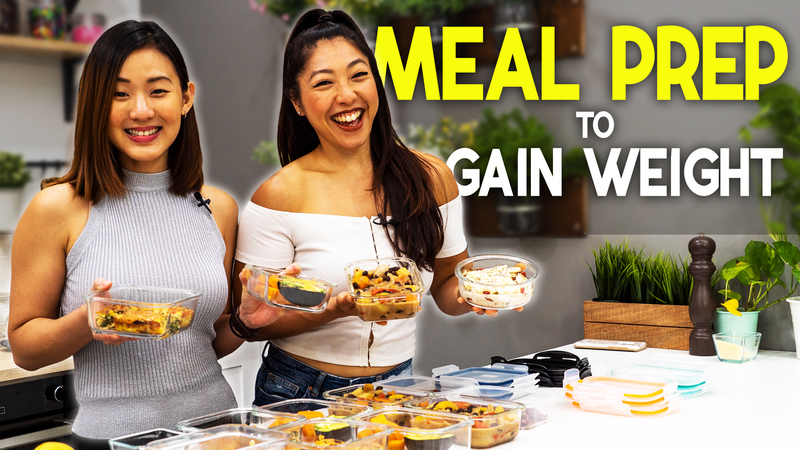 Please watch “My Eat Clean Meal Plan” for the full recipe and steps. 1. Start by preheating the oven. They’ll take 45 mins to cook in the oven. 2. Once it’s ready, I’ll allow this to cook in the oven. When that’s cooking, next is to make the banana muffins as they need to cook in the oven as well. 1. Combine all the mixtures together, separate the banana mixture evenly into 12 muffin cups and once they are ready, there should be about 15mins cooking time left on the oven. Place this on the top part of the oven. So right now, I have 2 meals cooking in the oven. Next on the list, to cook the Creamy green soup and also Tomato rice with beans. Coat two pots with olive oil, one to make the creamy green soup and another for the tomato rice and beans. Watch my “Low calorie Gluten Free Dinner” for the tomato rice and beans recipe and my “Eat Soup, Stay Slim” video for the Creamy green soup recipe. While those ingredients are cooking in the pots, by now, my salmon and banana muffins will be done. Take them out of the oven and allow them to cool down. Ok, back onto the stove. The beans and vegetables should be done by now. Because my pot is tiny, I’ll transfer the beans and vegetables into my rice pot and combination all the ingredients together. Lunch is now ready and set it aside to cool down. By now, my soup will be ready for blending. Remove from heat and blend all the ingredients until smooth and creamy. DONE! Set it aside to cool down. So, now that all the time consuming meals are ready, I’ll move on to the easier meals, Peanut Butter Snack Bar and Dreamy Oatmeal. Both requires less than 10 mins to prep. Combine peanut butter, honey, oats and seeds. Once that’s done, press it down firmly into a square container and place it in the fridge to cool down and harden before slicing. Finally, let’s make breakfast. I’ll only prep my breakfasts 2 days in advance as I do not like my oats to be too soggy. So 2 layers of oats, with 2 layers of fruits My Dreamy Oats are now ready to go into the fridge overnight. Time to pack my meals up for 5 days! This is the most satisfying part of the process!